There are 9 programs in Massachusetts that provide specialized First Episode Psychosis care. Please click on the right-hand side box to learn more about what makes each program unique, as well as what treatment services are offered and who is eligible for treatment at each program. Follow the links on the left to see each program’s own website. 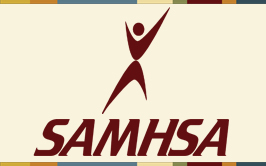 The Substance Abuse and Mental Health Services Administration (SAMHSA) has developed a confidential and anonymous a tool that provides information for persons and their family members who are seeking treatment facilities in the United States or U.S. Territories for a recent onset of serious mental illnesses such as psychosis, schizophrenia, bi-polar disorder and other conditions. These evidence-based programs provide medication, therapy, family and peer support, assistance with education and employment and other services.